Commissioned by Opera National de Lyon. The idea of a monodrama for solo soprano dawned on me about 10 years ago. At that time I discussed the project with Karita Mattila, and therefore the image of her (her voice of course but also her intense, passionate and warm being) standing on stage alone formed my first vision of this piece even before I became acquainted with its subject matter, its orchestration or its music. This was then followed by the practical aspects – the story, the layout and the duration of the work – the theme initially being based upon the idea of a woman waiting, throughout a lengthy night, for dawn to break and for the receipt of a medical verdict. I subsequently saw Karita sing Fidelio and rejoice, after her interpretation, in having had the possibility to sing and play a part in which a woman is depicted in a non-traditional manner. I then began to rethink of Emilie du Châtelet about whom I had read a book by Elisabeth Badinter and whom I had already envisaged as a subject for an opera. I made a few notes on this idea before contacting Amin Maalouf and François Girard, proposing that they would become acquainted with Emilie’s life and work. Then followed the customary exchanges between Amin and myself, like a long conversation over many months, over the form and content of the libretto. When the text was ready, I began writing the score, and my long winter spent with Emilie started. Emilie had numerous passions during her life and these evolved between two distinct dimensions: her immoderate loves (men, jewellery and gambling) and her intimate and profound attraction towards knowledge and scientific study. These two strong and sometimes excessive sides to her personality contribute to the creation of a surprising character, very human in her contradictions and attractive even. Despite her tumultuous life, she managed to master scientific knowledge as only few could do at the time and to undertake, during her pregnancy and the last months of her life, a remarkable work by translating and commenting on Newton’s Principia Mathematica. The opera is composed of nine successive scenes played without an interval. Each scene bears a title based on its own topic, the most important of which (foreboding, death, Voltaire, fire and science) carry their specific musical material, tempo and evolution. The choices of tempi are quite contrasted but the whole work can be qualified by its great rhythmic flexibility. The totality of this music represents Emilie, her thoughts and her feelings, and the orchestra exerts itself based upon the rhythm of her breathing. Generally speaking, the parts pertaining to her personal life are more gesture based, carnal, and rhythmically capricious. Their vocal writing is expressive, often nervous, explosive even. The particular colours of the instruments are related to specific characteristics or themes. Thus, foreboding is illustrated by harpsichord and marimba ostinatos, whilst the Voltaire chapter is dominated by the alternating woodwind and string sections with semi-quaver rhythms, sometimes regular, sometimes dotted and irregular but always energico. The lengthy scene where Emilie sings to her unborn child has been built around a tune remotely inspired by one of Scarlatti’s themes which reveals itself progressively throughout this piece before being expanded and subsequently deformed. The metal percussions join with the harpsichord to create a malfunctioning music box. On reflexion, I find the most inspiring aspects of Emilie’s writings relate to her scientific notes, the descriptions of her experiments and her remarks concerning the universe, colours and light. I have felt close to her by trying to accompany her written notes with my music. When Emilie writes: “A colour is nothing other than a coloured sunray, I mean a ray which has the power to provide us with the awareness of such a colour”, we share the same universe despite the time span which separates us. During the parts pertaining to Emilie’s work, the music becomes more abstract, less rhythmic, the physical body is more absent. Emilie reads and enunciates the text unrestrainedly and her expression swings between these intense but calm readings and the passages sung in an ecstatic and almost enlightened state. The orchestral textures of these extracts are transparent, the microtonal harmonies replace the chromatic structures and the manner of playing the instruments (diverse string section colours, vibratos and different mutes) become a decisive aspect of the score. My starting point was to devise a very intimate type of music. Initially, I imagined the singer with an electronic set-up, then surrounded by a small group of musicians. Little by little, I expanded my ensemble to a small orchestra with a woodwind section and a restricted brass section. In the first performance in Opéra de Lyon (March 2010), taking into account the power of Karita’s voice, I extended the string section beyond what was originally envisaged. The harpsichord plays a central role in the work. Emilie du Châtelet actually played the instrument and the use of it allows me to highlight the orchestra’s colours in different ways. The harpsichord’s timbre points towards Emilie’s contemporary music style and I am not only thinking of Rameau but also of Domenico Scarlatti whose writing for harpsichord I particularly enjoy. The harpsichord is also spatialized, as is, momentarily, the soloist’s voice. In order to evoke the characters Emilie is thinking of, the singing voice is occasionally also prosessed. This work was realized with Christophe Lebreton and David Poissonnier during the Spring 2010, first in the studios and then during the rehearsals and performances of the Lyon production, as the entire electronic part is interpreted in real time. (This text is a modified version of a text written for the program book of Opéra de Lyon. 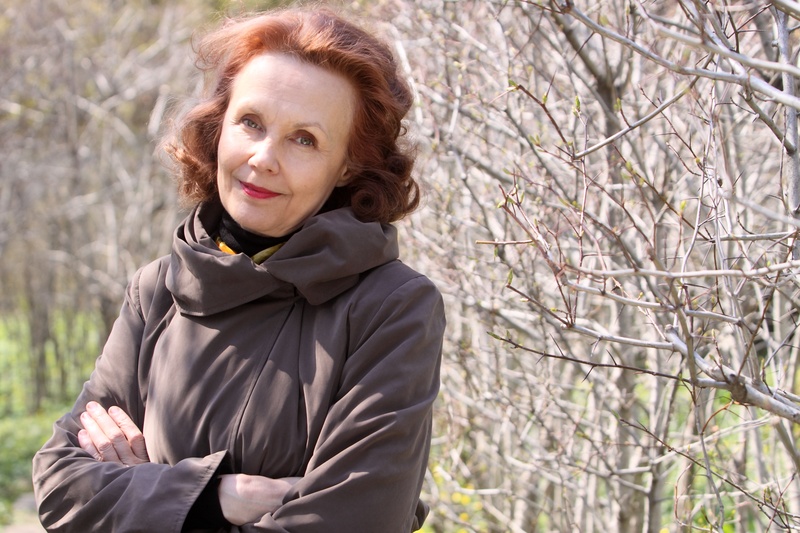 This third opera by Saariaho was commissioned by Opera de Lyon which presented the premiere performances beginning March 1, 2010, in a production by Francois Girard.